Apologies for being seemingly the last to post a blog on Al Arbour’s passing. I was away in Europe the last two weeks, I figured if it was safe for Arthur Staple to take vacation in August, it would be ok for me too. It wasn’t that I lived on Long Island, it wasn’t the four Stanley Cups, it wasn’t Potvin or Bossy, Trottier or Tonelli. My answer is always this story, a story not possible without Al Arbour. It was arguably Arbour’s best coaching job, guiding a depleted and overmatched Isles team’s to the 1993 Wales Conference Finals forever cementing my love for the sport and the New York Islanders. In the Spring of 1993, I was 10 years old. A Mets, Giants and Knicks fan. Hockey wasn’t on my radar, I didn’t have a favorite player, didn’t have a favorite team, couldn’t tell the difference between “a blue line and a clothes line” as the great Al Michaels once said. 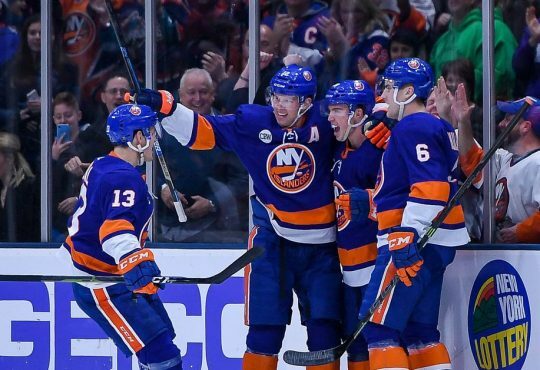 It was during that season that My Cousin Vinny (Yes, I have a Cousin Vinny) who grew up during the Dynasty years dared me to become an Islanders fan. Seeking his approval, I started studying up. My classroom was SportsChannel, my professors were Jiggs McDonald, Eddie Westfall and Stan Fischler. His friend Dave picked me up in a car with the squeakiest breaks you ever heard and the three of us we were off to Uniondale. As they ripped my ticket at the gate, they handed out Modells sponsored blue and white clappers that you banged back and forth, tremendous fun for a 10 year old but I imagine quite annoying for everyone else. The game would go into OT, as so many games in those playoffs would and Ray Ferraro played the hero as he would so many times during that remarkable run. We exited, headed to car and I experienced for the first time just how much fun the Nassau Coliseum parking was after a win. “HONK HONK honk honk honk” Dave’s horn sounded worse than his breaks, but it didn’t matter much, I was hooked. 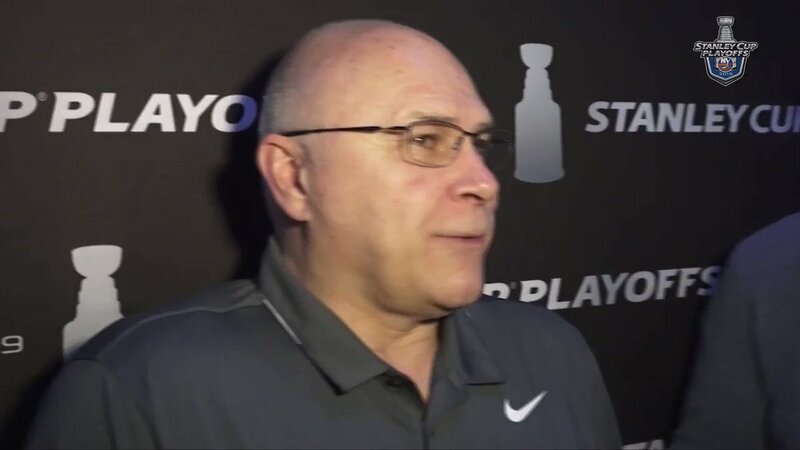 The Isles would go on to win the series in six games and then Dale Hunter happened. 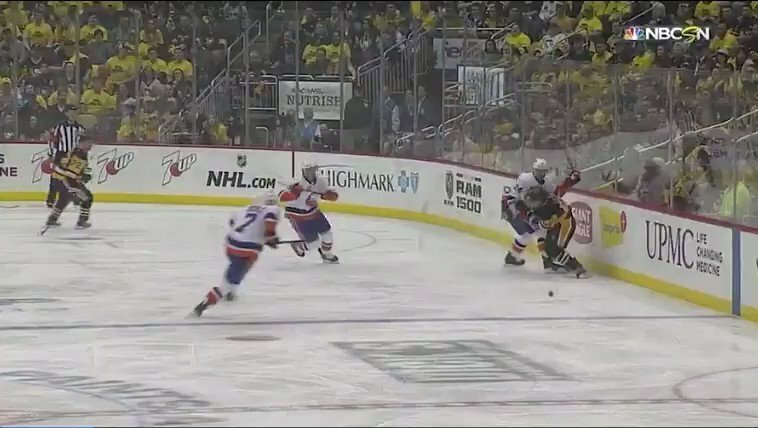 With or without Pierre Turgeon, they were given little to no chance against the two time defending champion Pittsburgh Penguins, but they would fight and claw their way to a decisive Game 7 in Pittsburgh where David Volek’s 2OT goal would complete one of the biggest upsets in franchise history. 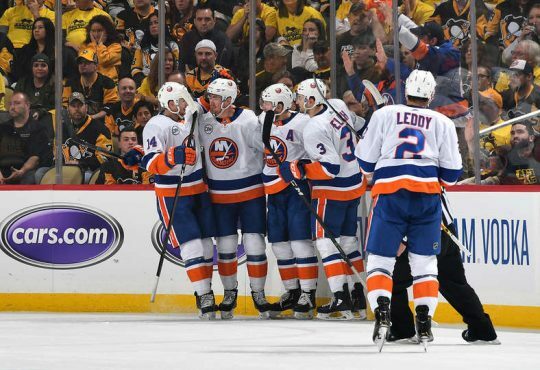 Over 22 years later, that is still the last Islanders team to win a playoff series, the final last playoff series won on Long Island. 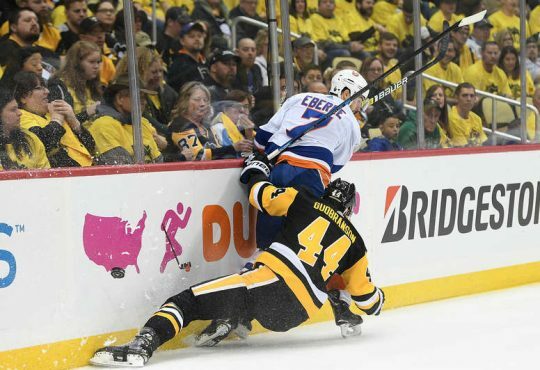 I’m not old enough to remember the Islanders Dynasty, not even old enough to recall the Easter Epic. 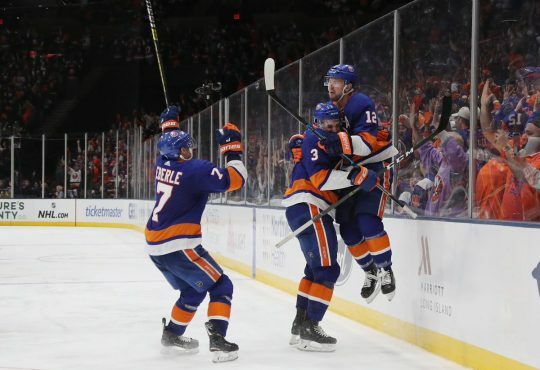 The 1993 Islanders for the longest time was all I had, it was made a kid from Brooklyn loathe the Rangers winning the Cup in 94 and persevere through all those lean, playoff less seasons. 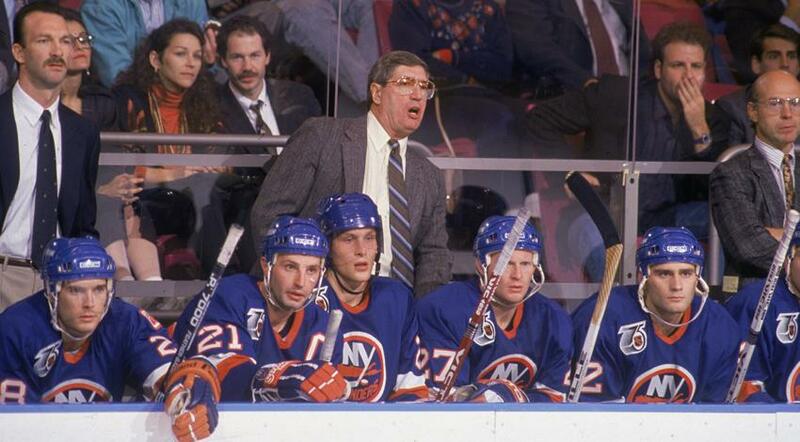 And that’s the story of how Al Arbour made me an Islanders fan. New Stop. Same Goal. Purchase your NYI Subway Line Shirt Today!